Clara Ann Kimber Ballingham was born on January 16, 1897 in Grouse Creek, Utah, a daughter of William James and Jemima Mumford Tanner Kimber. She had the following brothers: William, Thomas E., Joseph J., Lawrence, Alvin and Howard. Clara grew up on the Kimber Ranch, twelve miles south of Grouse Creek. Transportation was either horseback or team and buggy. It took two hours to go from the ranch to Grouse Creek. Clara’s father built a log home in Grouse Creek so in the fall her mother would live in the log home to put the children in school. They would go back to the ranch over the week-ends and for the summer time. 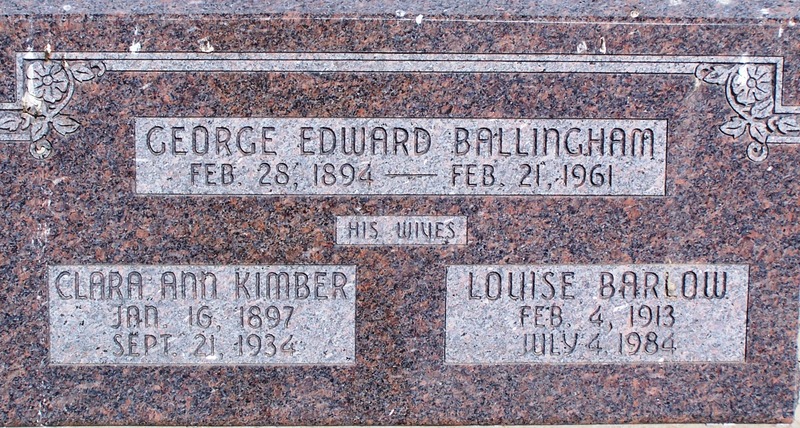 Clara married George E. Ballingham on June 28, 1916 in the Salt Lake Temple. 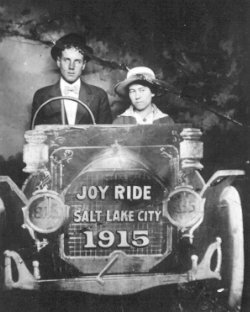 She was sealed to her parents on April 10, 1939 in the Salt Lake Temple. Clara and George had two boys, Ronald and Olene. For some time she and her husband, George, managed the hotel in Lucin, Utah for Mr. Vincente Erquiga. Clara was a quiet, but happy person, singing around the house as she did her work. She adored her husband and was a good mother to her two boys. She was thoughtful with her parents. As she was the only living sister her brothers adored her. She was an active member of the LDS church. Clara was suddenly taken ill on September 20, 1934 and passed away about midnight on September 21, 1934. She is buried in the Grouse Creek Cemetery.